Road Racing tubular, modelled on the famous GP4000s II clincher tyre. The Grand Prix 4000 S II tubular is a seamless tubular which scores on easy fitting and speed. 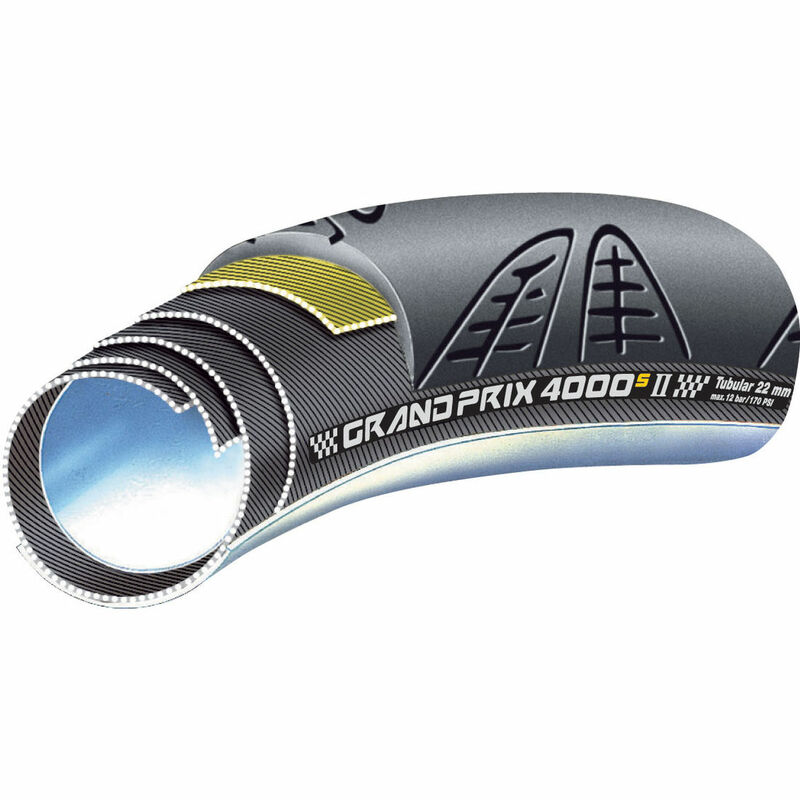 This like for like tubular version of our famous GP4000 S II clincher tyre, features the same benefits of the Grand Prix 4000 S II, namely an unrivalled collective of speed, reliability, long life and great handling. The BlackChili tread compound takes care of many of the above characteristics, coupled with a supple 240 tpi casing and of course a Vectran puncture protection breaker which states the high ambitions of this racing tubular. What will you fit to your carbon road wheels?